Home » Money » Work For All? On a bizzy Monday, I thought I would re-reun this piece from four years ago with no edits. I think it’s even more accurate now. The Coke machine at Burger King. Not a huge job killer, but a sign of the future? If you walk into a Burger King and place your order, the workers get busy putting it together. But while you wait, the person at the counter will hand you a cup for the automated Coke machine usually just off to the side. 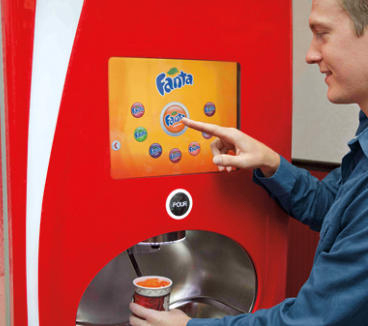 You, the consumer, use the system to select from hundreds of beverages mixed to your specifications. It’s not a huge job-stealer as technology goes, but what’s to stop BK from taking it further? Certainly, a small terminal could take your order and payment. A machine that makes burgers isn’t hard to imagine, nor is one that makes fries. 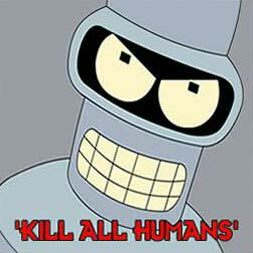 A fully automated burger dispensing store that isn’t even paid minimum wage could well be on the horizon. The growth in productivity in postwar US was tied directly to the growth in the number of workers until 1999. Output grew at an average of 2.1% per year, as did the number of jobs. Production continues to grow at a similar annual pace, but the number of jobs has slowed to 0.5% since the start of the Managed Depression in 2000. That has rebounded lately to a net rate closer to 2.0%, but it still lags the increase in GDP – forecast to be 3.4% in 2015. As we have noted, much of the work created has not been full time employment but contract work – which has fewer guarantees and protections. Not all robots are evil. He is far from the only one sounding the alarm. Barataria noted this problem in August, and has in the past speculated there is evidence that there is only so much paid work to go around in an advanced economy. Since that time, articles have appeared in the popular media on the same theme repeatedly wondering if our future is one without workers. This goes against the trends that we’ve noted which show that workers should, if anything, become more valuable in the next few years – particularly after Baby Boomers start retiring en masse in 2017. But more expensive workers are even more likely to be replaced by machines than cheap ones. Worse, there are signs that the basic skills necessary to be a high-value worker are on the decline, according to a report by the Organization for Economic Co-operation and Development (OECD). What happens if there is not enough work to go around? As the Industrial Revolution progressed, one of the key features was the development of the standard 40 hour workweek. 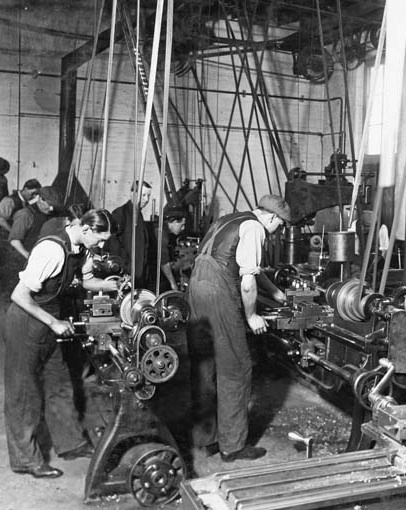 Over 100 years ago, it was common for employees to put in as much as 12 hours per day, 6 days a week, especially if they were valuable skilled workers in areas like steelworking. Unions organized and limited the hours required, giving us the weekend as we know it. It may seem counter-intuitive, but more valuable workers are usually the first ones to organize and demand both better pay and shorter hours. A world where machines work is likely to mean that people don’t – but wages have to rise to make the difference if there is to be no decline in living standards. A 32 hour workweek (4 days) would create 20% more jobs but necessitate a 20% rise in pay to keep everything even. This places a higher demand on basic skills and education, however, in addition to a huge social change in the nature of what we call “work”. In the Burger King example there is always a need for a manager to keep everything running and control the crowds – in addition to a mechanic that keeps the machines operating. There are still jobs for humans, but they are more technical and demanding – and the productivity per employee justifies better pay. 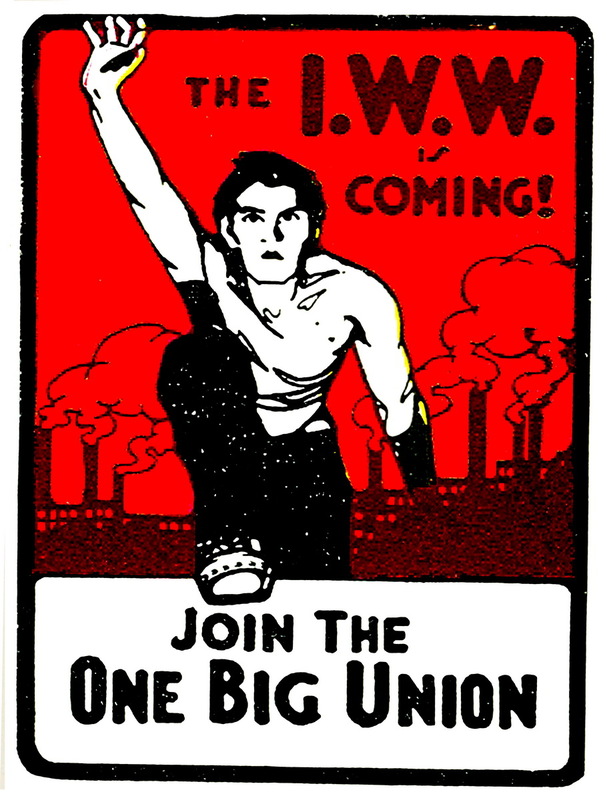 Workers of the world Unite – it is one big economy, after all. But there is only one historically proven way for workers to regain the upper hand against technology, and it is organizing. Throwing your shoes into the works isn’t good enough. It takes skills and determination – and a shortage of replacements waiting for their chance. If Barataria is right about the net shortage of workers after 2017, into the next boom, we can see how things might change from there. Robots will likely take up the slack, but workers will have to be the net beneficiaries as the relationship between people and work changes. That frees up people to have better lives, raise their kids, and continue their education – making everyone gradually more valuable and making a much higher hourly rate well worth it for everyone. But getting from here to there is not going to be easy. This can and should be the focus of a genuine Progressive movement – to embrace the changes that are coming to free people and make robots do the work. This entry was posted in Money, People & Culture. Bookmark the permalink.